• Studying, exposing, and fighting antidemocratic tendencies and ideologies in Europe and elsewhere. • Improving the public debate about Israel by presenting facts and correcting misinformation. • Fighting antisemitism and the defamation of the Jewish people and the Jewish state in Europe and elsewhere. Our commitment to Europe's Judeo-Christian heritage, and our unwavering support for the State of Israel, complicates our fundraising efforts on a highly secularized European continent that denies its spiritual roots and increasingly questions Israel's right to exist. 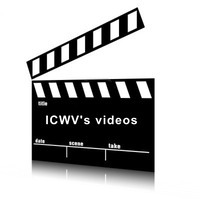 ICWV will organize debates. The topics to be discussed will include the place of Islam in Western societies and the rising demonization of Israel. 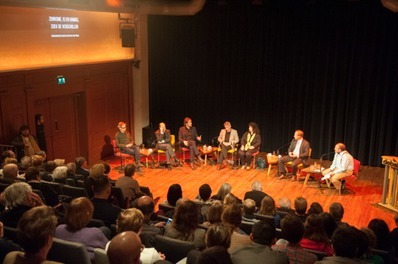 The first such debate took place on October 13, 2013, in Amsterdam. The second debate was held at December 1, 2014, again in Amsterdam. Once dates and locations are final, the details will be posted at this page. We invite you all to participate in these upcoming events. UVP, the Dutch publishing house, closely affiliated with ICWV, has organized a debate on the future of Islam in the West. Originally it would have been held on October 10 at the Brinkhuis, a cultural center and public library in the town of Laren, twenty miles to the east of Amsterdam. After the Brinkhuis cancelled the event, it was moved to De Balie in Amsterdam. On December 1, 2014, ICWV organized a debate in Amsterdam, in close collaboration with Uitgeverij Van Praag. A recording of this event has been posted online. Click here to access these videos.